Mould is known to grow quickly in any moist environment. And as it grows, it can release spores that are hazardous to human health, especially to people with asthma, allergies, and weak immune systems. Mould is easily found everywhere because they only need water and a source of food to grow. 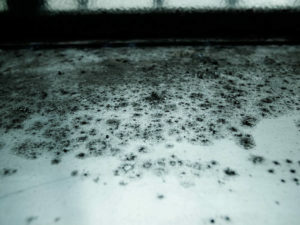 Airborne mould spores in large quantities can pose a hazard to workers who inhale it. There are even certain types of mould that can produce mycotoxins. These mycotoxins can pose a greater threat to both human and animal health. Dark, humid, and steamy places are where moulds survive. Commonly, they are found in bathrooms, kitchens, and poorly ventilated environments. Most people don’t experience any health issues when exposed to moulds. However, workers with weak immune systems can be inflicted with severe illness or conditions such as allergic reactions or respiratory problems. Prevention is the best way to avoid moulds. Water leaks should be fixed right away and standing water should be mopped. The employer must inspect the workplace if workers start to complain about the air quality. If mould contamination is confirmed, then suitable action must be taken to remove it. A trained abatement team can safely take care of removing the mould. Then the source of water must be found to stop the mould from growing once more. Eliminating the source of exposure is the best form of risk control. The controls below are arranged in order of efficiency. Choose which one to apply by asking yourself the questions after each control. The most efficient control is to fully eliminate the source of hazard by substituting a safer method or material. Can mould-proof building materials be used in areas prone to it? Physical alterations to the facility, machinery, and methods used can help lessen exposure. Can mould exposure be monitored? Can short-term enclosures be made for moldy materials? Can air filters and enclosures be installed in mould removal work areas to prevent the spread of airborne spores? Changes to rules and regulations at work, distribution of awareness materials, and training in proper safe work practices are all part of administrative controls. Is there a written exposure control plan for mould? Are warning signs posted in mould removal work areas? Are safe work practices posted in areas that can be seen by workers? Another control must be used together with personal protective equipment because this is the least effective among all controls. Are workers doing mould cleanup wearing their proper personal protective equipment such as respirators, eyewear, and clothing? Are respirators properly checked and in perfect working order?